This season, I’ve gotten very excited about the Herringbone Stitch. 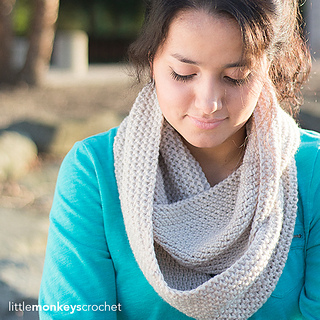 There are so many different ways to change up the look of this stitch! This pattern uses the Herringbone Double Crochet stitch (HbDC), worked in a continuous round. 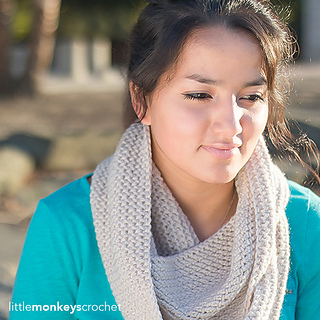 If you’re a beginner who already has the most basic stitches under your belt, you’re going to love this scarf pattern! You’ll learn a new stitch and have plenty of practice with it as you go round and round the scarf.